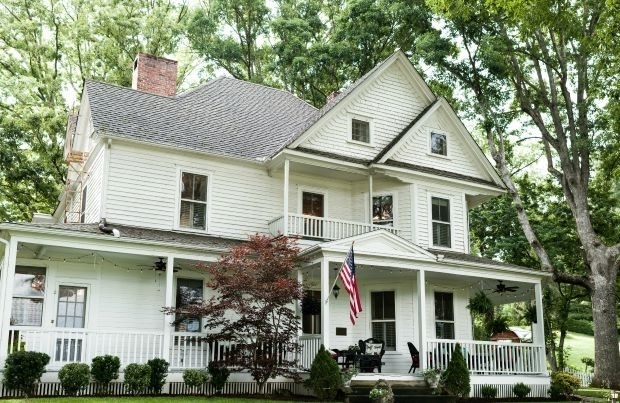 Oak Hill Bed and Breakfast has the service and amenities of a fine hotel with the comforts of a cozy bed and breakfast. Guest rooms feature fireplaces and private en-suite bathrooms. Amenities include a three-course gourmet breakfast each morning. Enjoy magnificent mountain views from the porch and fire pit terrace. Walk to Waynesville's Main Street or take a short drive to the Blue Ridge Parkway, National Parks, or Asheville.